Very Good. 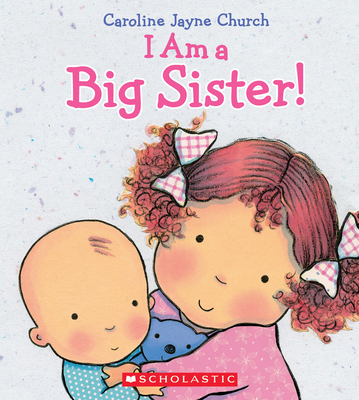 I Am a Big Sister by Church, Caroline Jayne, 2015-02-01. Sewn binding. Cloth over boards. 24 p. Contains: Illustrations. Intended for a juvenile audience. Good. I Am a Big Sister by Church, Caroline Jayne. Sewn binding. Cloth over boards. 24 p. Contains: Illustrations. Intended for a juvenile audience. Good. A sound copy with only light wear. Overall a solid copy at a great price! some highlighting All orders guaranteed and ship within 24 hours. Your purchase supports More Than Words, a nonprofit job training program for youth, empowering youth to take charge of their lives by taking charge of a business. Where Is Baby's Belly Button?